Nike Sports Camps recently reached an agreement to operate golf, tennis, soccer and basketball camps with the Julian Krinsky Camps & Programs (JKCP) staff at two prestigious home universities, Villanova University and Haverford College. JKCP has been in business in the Philadelphia area for over 40 years, providing intensive instruction in academics and sports programs. Under this agreement, Julian Krinsky Camps will now run Nike Junior Golf Camps at their facilities for day and overnight participants. Nike Junior Golf Camps, Haverford College and Nike Junior Golf Camps, Villanova University will be led by JKCP School of Golf Director, Danie Steyn, and his staff of dedicated assistant professionals. As a player on the pro tour, Danie was the Captain of South Africa’s Free State Provincial Team and is a winner of the Pelco Open. Haverford College offers 12 weeklong day camp sessions for students of all abilities, ages 7-18. The day camps run 8:00 a.m. - 5:30 p.m. and includes breakfast, morning instruction, lunch and afternoon course play. Overnight programs are hosted at Haverford College for ages 10-13 and Villanova University for ages 14-18. The overnight camps include accommodations, all meals, instruction, course play and evening activities. All campers at Haverford and Villanova will bus to local courses each day, participating in morning instruction and supervised course play in the afternoon with the camp staff. Nike Junior Golf Camps is a division of US Sports Camps, Inc., America’s largest sports camp network. NJGC offers junior overnight and day camps, as well as advanced player camps at over 130 locations nationwide. 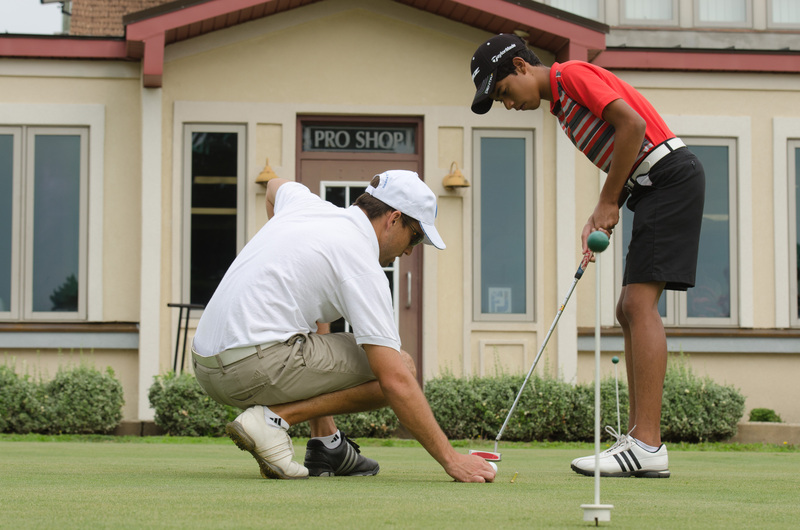 Since 1994, more than 200,000 junior golfers have participated in the camps. To explore a variety of camp options and locations visit the official website for Nike Junior Golf Camps.